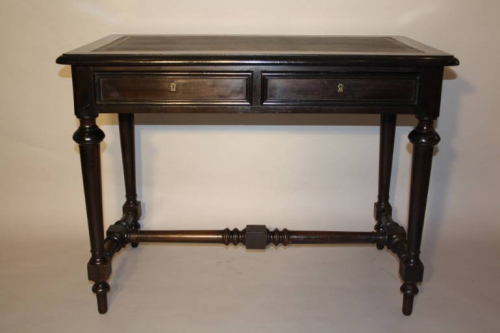 A lovely ebonised two drawer desk with tapered and turned leg detail. Black leather inset with gold greek key design. Lockable drawers. A very elegant interior piece. French c1860. Slight fading and wear to the ebonised stretchers consistent with age.